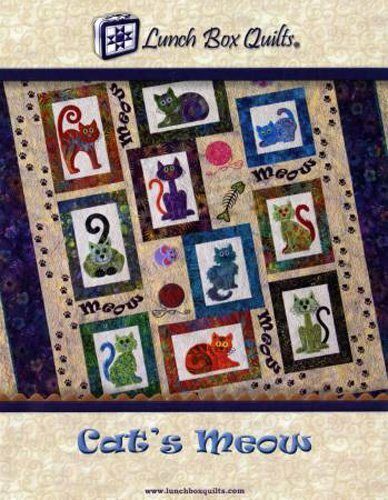 A must have quilt pattern for any cat lover. 7 stylish embroidery appliqué cats, 5 additional cat related designs. Finished Sizes: 26" x 43" Wallhanging, 50" x 50" Quilt. The newest patterns are delivered via a Digital Delivery process. Your embroidery pattern packaging includes a redemption card with your unique redemption code. A computer with an internet connection is required to download the embroidery designs.